Would you like to attend major press events live without having to travel? Capture photos on your screen at home? Upload original sound bites straight away? Follow proceedings from several different perspectives? Yes, but you probably think it’s all just a pipe dream. Not so. 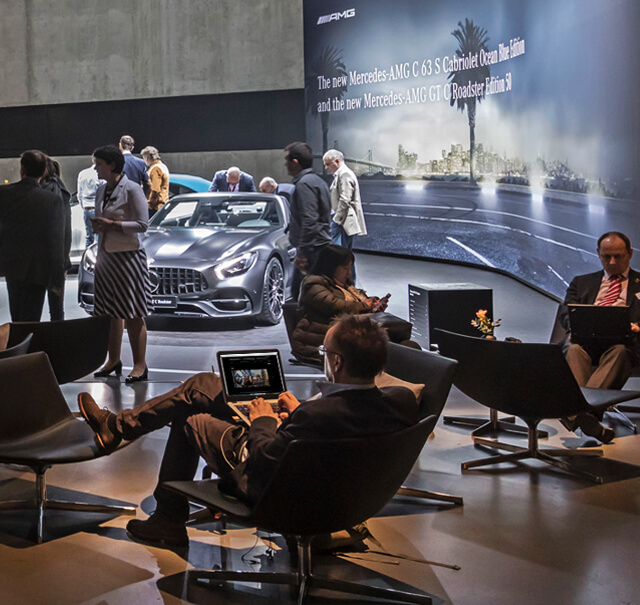 At the IAA 2017 show, Mercedes presented a new benchmark in digital live PR – Mercedes me media. 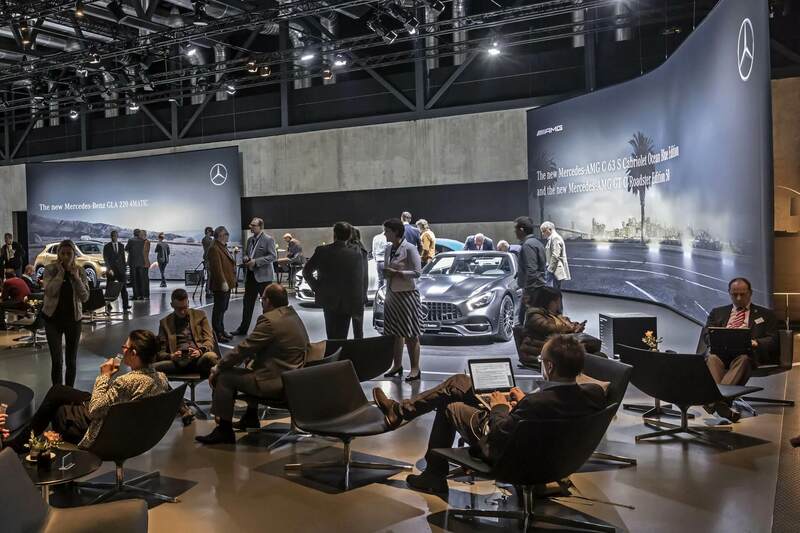 Journalists, bloggers and other opinion leaders who were unable to attend the IAA in Frankfurt, nonetheless participated as virtual guests of the digitized Mercedes live event. No matter where they were at the time, they simply logged in with their PC, tablet or smartphone. The new tool, which was jointly developed by OSK and its Berlin technology unit OSK Compuccino, enables media professionals to report live in real time using smart functions and generating high-quality content. 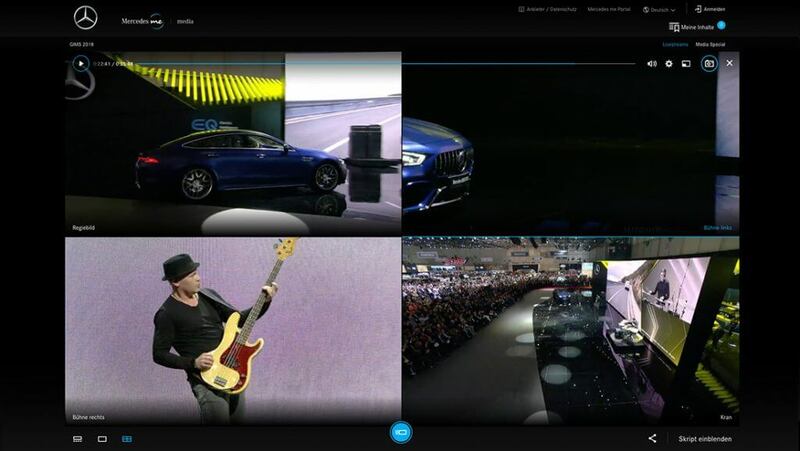 Mercedes me media is not simply a one-dimensional live stream, but a tool that puts any journalist with a screen in the director’s chair. For the first time, four settings are available during live broadcasts – three camera angles and a director’s cut – without any loading times or delays. Because they can switch between the settings so easily, whether in their study at home or the editorial office, users genuinely feel as though they are actually at the event. Apart from the benefits of watching high-resolution moving pictures, media professionals can generate print-quality screenshots, read presenters’ scripts in real time, copy quotations for immediate sharing on social networks or saving in a “shopping cart” – in multiple languages if desired. Users can therefore quickly and accurately generate individual high-quality reports tailored to their own channel. Recordings of every event are also available on demand and can be reviewed or used for further research purposes at any time afterwards. The tool’s advantages for both event hosts and users are self-evident. In particular, Mercedes me media generates a digitized version of live proceedings. When hosting a major premiere, for instance, Mercedes can reach a worldwide audience of opinion leaders without requiring them to gather in an exclusive venue. And influencers are able to attend events virtually that would otherwise be beyond their reach. The tool allows them to select, in real time, the best content for their specific formats and channels from an abundance of available material. The premiere of Mercedes me media received a unanimous thumbs-up from the target audience and marketing trade press alike. Commentators highlighted its creation of an entirely new live PR genre. Media analyses have since verified that, measured against their auto-industry competitors, Mercedes-Benz and smart hosted the most successful presentations at IAA 2017. Among other triumphs, the new platform achieved outstanding results in the online and earned social media categories in particular.